Sydney Shop Girl: The Weekend Is Nearly Over. At last. Sorry if you've been enjoying a relaxing couple of days, but my brain needs a lie down and a bit of space from my phone. Monday is looking pretty good from here, to be honest. Hasn't the sun and clear blue sky been magic in Sydney? People are taking to the streets in the afternoon again, on their bikes and skateboards, arm in arm or in their prams. I even smelled a barbecue this evening. I'm getting excited for spring / summer already. Have I got long to wait? I am being a bit of a drama queen. I managed quite a few non work related activities including some home yoga practice (I can never manage more than 19 minutes on my own for the record) and a relaxing beverage or two. 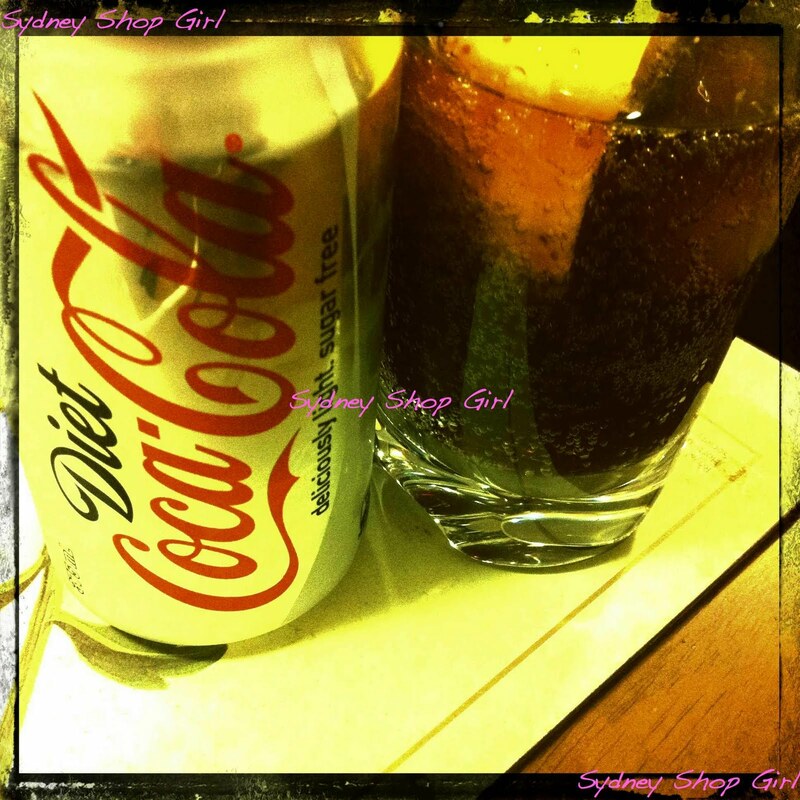 My dedication to Dry July has seen me resume that twentysomething friendship I had with Diet Coke and lemon. It seemed so sophisticated yet chilled out at the time and a decade on, not much has changed. I did overcome my housework inertia enough to contemplate cooking dinner last night. 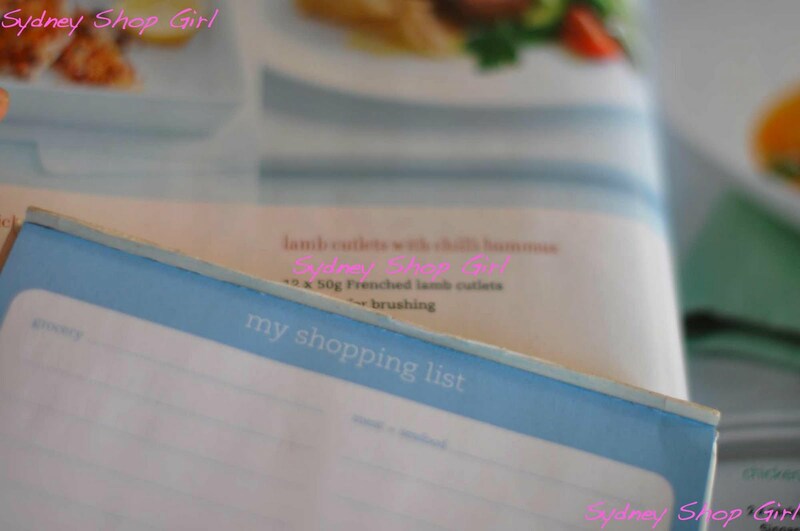 My Donna Hay shopping list notepad was at the ready as I read a lamb cutlet with spicy chickpea hummus recipe from the magazine. 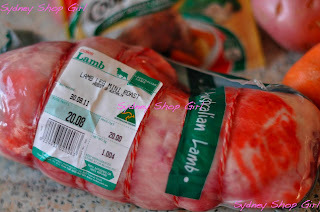 You can another one to the tally of the number of times I've commented on the alarming price of lamb in the middle of winter. 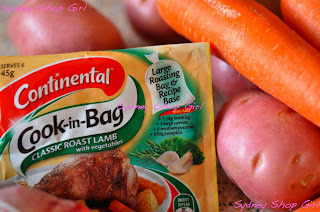 But I got to Coles and my lofty ambitions crumbled when I saw this lamb mini roast and these Continental Cook-in-Bag packets. I think these things happen when you walk to Coles in uggs and faded blue trackpants. It could just be me though. It all turned out well in the end. I didn't even have to do much with the ingredients when I got home. Mr SSG took charge and we craftily used foil baking trays for the roasting, effectively halving the amount of washing up. This is perfect if you're looking for a low maintenance lamb roast that you won't regret bailing on Tom Cruise for (is this refernce to 'mum's doing a lamb roast' even relevant to the kids of today?). Lots of flavour without the tell tale 'packet mix' taste you can get with some recipe bases. The other highlight of the weekend was visiting baby X. Willow and Lotus, he has received many compliments on the Jumpie I bought him. There's something grounding and calming just holding a baby. I'm a bit nervous about protecting the necks and heads of newborns, but older babies are always welcome on my lap. Before I go, I have news. A couple of wonderfully generous SSG readers have sponsored an exciting skin care giveaway that I will be announcing next week. It's a fabulous Australian certified organic cosmeceutical brand and I'm loving what I've tried so far. So, the advice from the desk is to defer your skin care purchases until all is revealed. I've also had a super busy (kid-filled) weekend so I'm exhausted too...and to think we're feeling like this and didn't even go to Blogopolis! p.s. 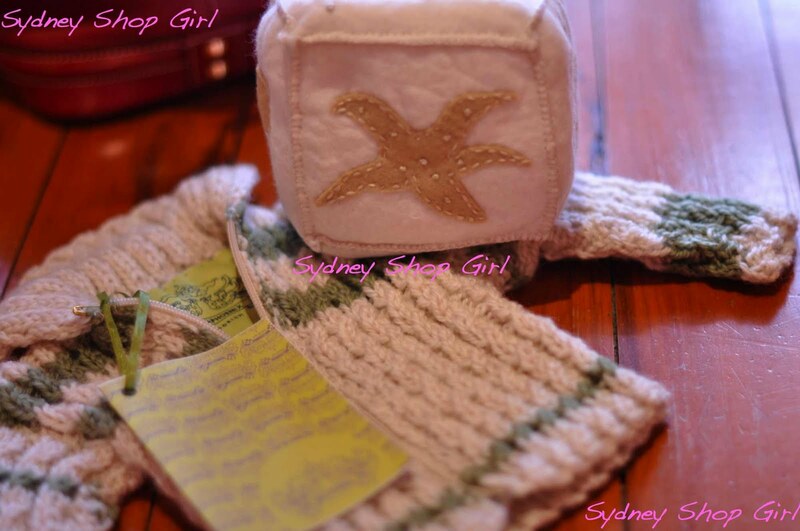 that little baby jumper is soooooo cute! Do people actually wear anything other then faded tracky daks and Uggs to Coles??? It sounds like the perfect supermarket outfit and any dinner that saves washing up is a dinner worth cooking! PS: love the new blog look :)!!! Oh dear, hope next weekend is calmer! I spent today at the beach soaking up a tonne of rays. Ahhhh bliss I can't wait for spring! Your roast lamb looks so delicious! I've been a food snob for years but I'm now discovering that there are actually things in packets and jars that make life easy and taste good. Such a great discovery. I'm also a huge fan of foil trays. Minimising washing up is brilliant. 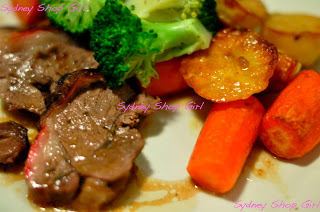 yum yum yummmmmmmmmmmmmmmmm there is nothing wrong with picking a different dinner route when you hit the supermarket. It happens to me all the time. I am having a constant affair with Coke Zero. Terrible I know but it's my one vice. So glad the little Jumpie and baby block found a lovely home. He is in good company - baby FF looks adorable in his!